When is comes to Disney, we all have memories if you’ve gone. 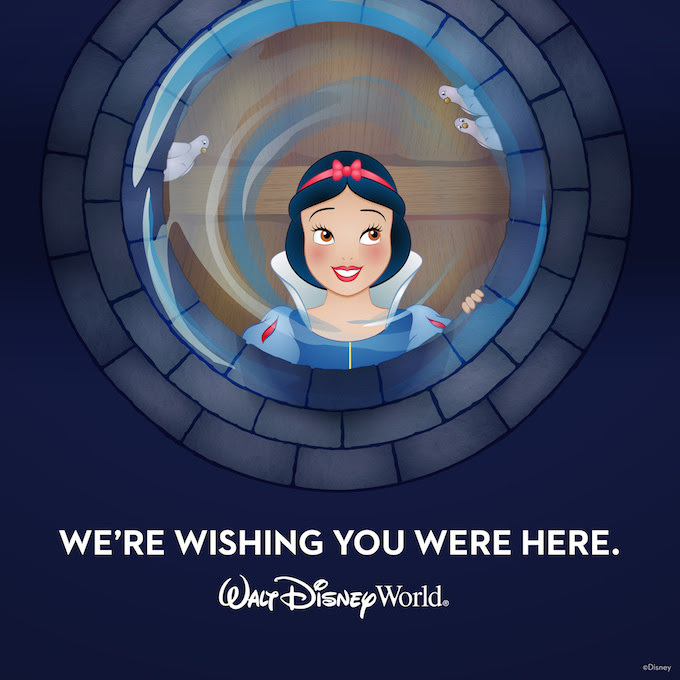 What is your #DisneyMemory? Disney Memories. Certainly not a new topic here at My Dreams of Disney — but it isn’t one that we focus on as much as we used to. Well, my friends, that is about to change. Starting on Monday, we’re going to be taking a look at a special something at Disney, and I’m going to share with you my #DisneyMemory in that post. It could be a picture of an attraction, a resort, some food, whatever strikes me on that day, but it will have a Disney focus. Better yet, though, I’d love for my post to trigger your own Memory — your own #DisneyMemory — that you would share with all of us. That’s the purpose of this blog, you know — to take My Dreams of Disney and to help you make them Your Dreams of Disney. So who’s up for the challenge? Who’s ready to get started? Come join in the fun, and follow along online with the hashtag #DisneyMemory! I’ll see you online, and I’ll see you on Facebook, Twitter, Pinterest, and Instagram too! Our first memory comes to us from the Walt Disney World sign on World Drive. I remember as a punky 11 year old kid in 1979 riding to the Magic Kingdom with my grandparents and my Mom and Sister and seeing that sign. Back then, the only park was the Magic Kingdom, so when you saw the sign, you still drove for about 3 miles until you actually got near the Transportation and Ticketing Center, and to this 11 year old, that drive felt like driving out of Florida and into an entirely new world. That, of course, is exactly what Disney wanted — for you to leave your life behind, even for just a short while, and to remember what it was like to be a kid again. I’ll touch on this theme a bit more in future posts, but for me, on that summer day in 1979, seeing that incredible sign was just the first #DisneyMemory. Tell us about your first Disney Memory online here in the comments, or on any of our social media platforms! Thanks for sharing, and thanks for visiting! 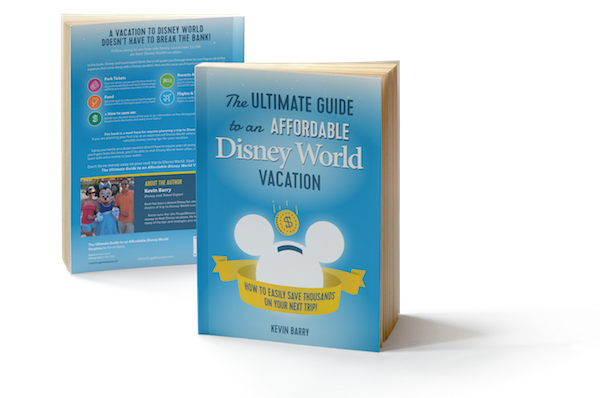 In Kevin Barry’s book, the Ultimate Guide to an Affordable Disney World Vacation, Barry explores the many different ways that you as a family can save money on your Disney World vacation. Captured within the 119 pages are tips on saving on flights, rental cars, park tickets, hotels, food expenses, and more. The story is written around the quest of the Barry family in planning their next trip to Walt Disney World, and gives detailed information on how much they are saving in their planning. For me, the book is a good read, and has a lot of great information; however, there are some tips that I prefer not to tackle, that you need to make sure you are careful about before implementing. For me, the first is the tips that are provided for securing cheap/free air fare by getting credit cards. I know that there are disciplined people out there that can implement this process and save a lot of money on their flights, but the key here is that you need to be very disciplined to make sure you don’t run up thousands of dollars in debt. To his credit, Kevin talks about this in great detail. When it comes to park tickets, the biggest question is really whether or not you and your family want to implement the park hopper add-on. This is a significant cost, and if you plan your trip correctly, you absolutely can get away with not purchasing the park hopper because it will save you money. In this regard, Barry does a good job against recommending it. Additionally, he also does a good job in making sure that you know that you can’t get your park tickets at just any location. The place to get tickets is at the Disney World website, where you will pay full price, or through select resale sites such as the Undercover Tourist website, where you can get a discount. All in all, the Ultimate Guide does a really good job in providing tips on saving money on your next Walt Disney World vacation. At the cost of around $12, it’s a good investment, and in this blogger’s perspective, is worth the cost to have some great detailed information that you can use to save money on your next trip. Have you read the Ultimate Guide? What did you think of it? Let us know in the comments, and thanks! Welcome to this month’s Blogorail Orange Loop. Today we are reviewing Walt Disney World deluxe resorts. 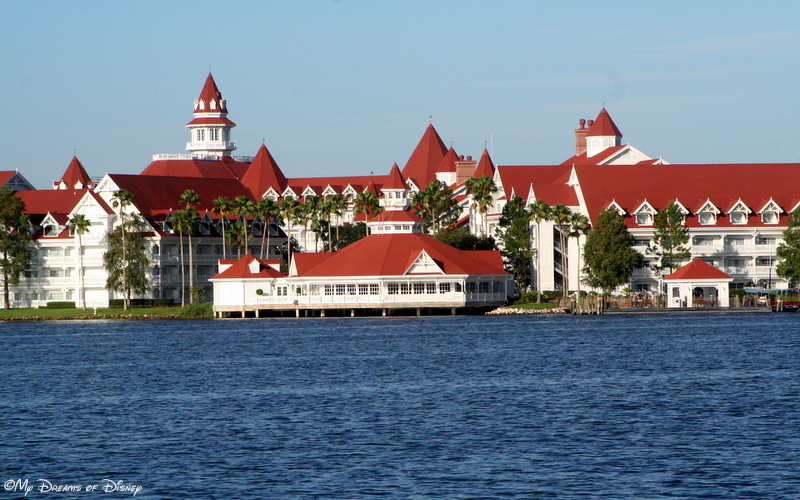 In July of 2013, my family was able to take advantage of a special rate and stay at the Grand Floridian Resort & Spa. I was a new Pixie Vacations travel agent, and they were having an agent get together, so we were able to get a good rate to stay at the resort. We had been here once before, but just for a dinner, and had never imagined that we would be able to actually stay here. My wife and I, after that first visit for dinner, had made a resolution that we would stay here to celebrate our 25th wedding anniversary. We were actually able to stay here just before our 13th wedding anniversary, cutting that time in half! The Grand Floridian is the flagship resort of Walt Disney World, but oddly enough, it isn’t an original Walt Disney World resort! It didn’t actually open for business until June 28, 1988, nearly 17 years after the Magic Kingdom opened! When I learned that, it astonished me. This resort isn’t even 30 years old yet. However, this isn’t about the facts and figures of the resort. This story is the story of how the resort reached out, grabbed Cindy and I by the heart, and pulled us in. As I said, we were able to stay here much more quickly than we thought we would, and we were instantly impressed with the Victorian charm of this classic resort. 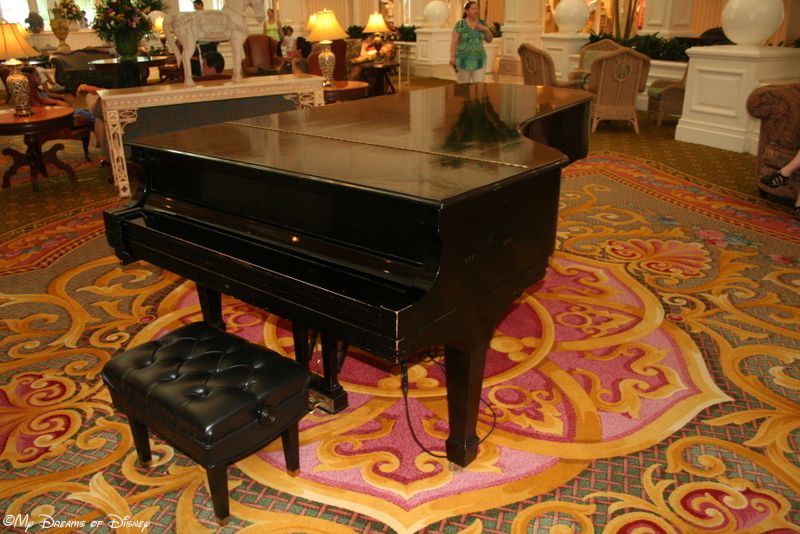 It’s the flagship resort for Walt Disney World for a reason, and we quickly found out why when we walked into the opulent lobby of the resort. As we entered, I kept thinking to myself, we wouldn’t be able to stay here if we didn’t have that special rate. It’s almost like the Disney Magic had been cranked up on high for us, not just for our trip, but so we could stay at this resort. The room fit Sophie, Cindy and myself perfectly — we had no issue with space or anything like that. We had a small balcony that we could go out on, but we spent most of our time away from the room to enjoy that feature. The amenities are incredible at the resort, from signature restaurants to incredible views, great perks such as taking the boat or the Monorail to the Magic Kingdom. This trip, though, and the appeal of this resort, wasn’t in the room, or the lobby, or the amenities, or even so much the location. The beauty of this resort is that it captured my imagination, it offered me a taste of what it would be like to stay here, and it did so in such a way that it welcomed us with open arms, and invited us to stay there again. Next month is our 15th wedding anniversary, and ten years after that — we’ll be back at the Grand Floridian, staying there for our anniversary, unless we get back there before then.